Space Exploration Technologies (SpaceX), has developed a capsule that can take large payloads into space. On Nov. 30th 2011 they are launching one of their Dragon capsules and docking it with the International Space Station (ISS). The CEO of SpaceX, Elon Musk, says that they are working on upgrading the capsule so that it could take even greater payloads all the way to Mars. They have been working in conjunction with NASA to determine the feasibility and cost of such a mission and the results have been staggering. Usually the cost of a space mission is measured in billions of dollars, but using the Dragon capsule and Falcon Heavy rocket, the cost of a mission to Mars would only be $400 million. 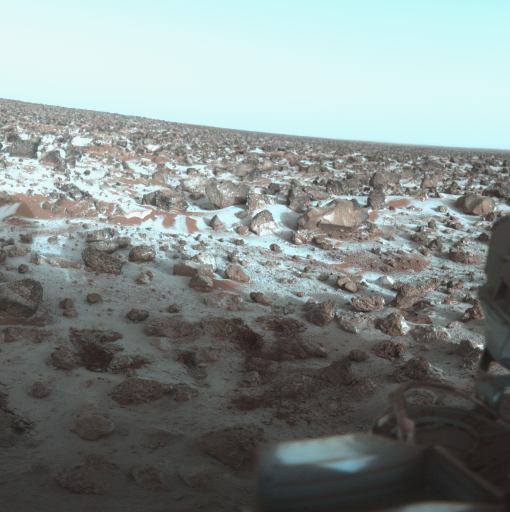 To put that in perspective, the cost the Mars Science Laboratory, Curiosity is $2.5 billion. For a fraction of that price, the Dragon capsule could take a much heavier payload to Mars. The proposed mission, called Red Dragon, would send a drill to Mars in order to take an unprecedented look beneath the Martian surface. Red Dragon would drill approximately 3.3 feet underground and sample the water ice that lies just below the soil. 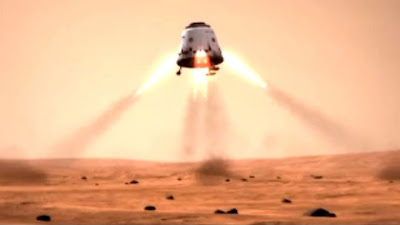 A still from a SpaceX mission concept video that shows a Dragon capsule landing on Mars. NASA plans to send Red Dragon either to the landing site of Phoenix Lander or Viking 2, both of which are known to have subsurface water ice. Red Dragon would not launch until 2018 because they are still upgrading the Dragon capsule and running it through rigorous tests to ensure it can survive the trip to Mars and the harsh environment of The Red Planet itself. SpaceX is not stopping with Red Dragon; CEO Elon Musk announced earlier this year that they hope to send an astronaut to Mars within the next 10 to 20 years. 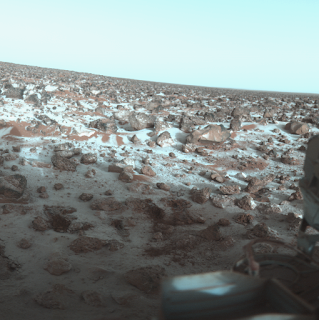 This is much faster than NASA's plans, which has a goal of man on Mars no sooner than 2035. One thing is for sure, the ambition of SpaceX and other commercial companies will help to further the exploration of Mars, and make space exploration cheaper than it has ever been. "Ultimately, the thing that is super important in the grand scale of history is 'Are we on the path to becoming a multi-planet species or not?' And if we're not, that's not a very bright future, we'll simply be hanging out on Earth until some eventual calamity claims us." - Elon Musk (CEO of SpaceX) at a conference held on 02 August 2011 by the American Institute of Aeronautics and Astronautics. Great article! I would like to point out that the CEO of SpaceX is Elon (not Alan) Musk though. Thank you. I don't know how that happened. I appreciate the feedback!